There comes a point where old technologies struggle to remain relevant as new systems emerge promising to cut down waste, boost efficiency and increase profitability. However, new technologies are expensive to implement especially at the early stages of adoption. Businesses benefit from new technologies, and your business shouldn’t struggle due to lack of funds. Technology helps businesses meet their customers needs, and, as a supplier of advanced technologies, your business can acquire financing for your technology equipment through purchase order funding. How is this possible? Purchase order financing allows you to leverage the purchase orders your business acquires for your emerging technology equipment. This allows your business to get off the ground in an expeditious manner. Small businesses with expensive technology systems can find it hard to get their products off the shelf. With a current and valid purchase order, Meridian PO Finance can finance your advanced products and your buyers will be satisfied. The purchase order funding process happens quickly. Transparent process guarantees long term relationships. It can greatly benefit businesses trying to deploy new technologies to their customers or repeat orders. Allows companies to improve efficiency and stay profitable. There are a number of industries that could benefit from the latest technological innovations. We have listed a few of 2017’s top emerging technologies for your consideration. Farmers are still struggling with the same problems of increasing yields and mitigating risks that come with agricultural production. At the same time, the market is becoming increasingly competitive with new entrants from overseas and many others from within the region. How can farmers produce more, keep costs of production low and stay competitive? Technology aims to lessen the stresses some agricultural producers incur. Meridian PO Finance aims to be a part of this process. 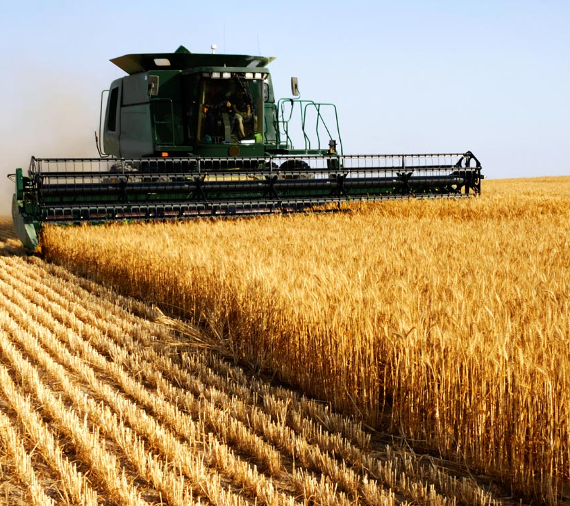 Acquire technologically advanced farming equipment in comparison to your competitors. Increase productivity & keep your business ahead of the game. Precision farming is a new system that leverages the latest technologies and logistics to help farmers make accurate decisions regarding which crops to grow and when to plant or harvest. The system incorporates devices such as drones with cameras and sensors that can move around a farm and take images and data. The system runs the data collected to detect any signs of stress, pest infestation, etc. The system can determine where to direct resources to reduce chemical run-off, wastage of water, and conserve fertilizer.